When’s the best time to visit the swamp? Well if you’re talking about the Okefenokee, that would be in the fall. 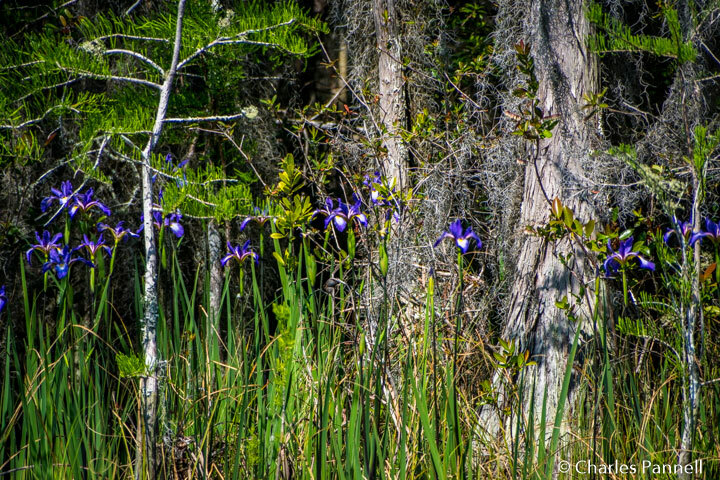 Not only is the weather just as good as it is in March and April, but during the fall the Okefenokee is also pleasantly devoid of the of the spring break crowds that descend on the area as soon as the snow begins to melt up north. As an added bonus, the migrant Sandhill Cranes also call the Okefenokee home in the fall. 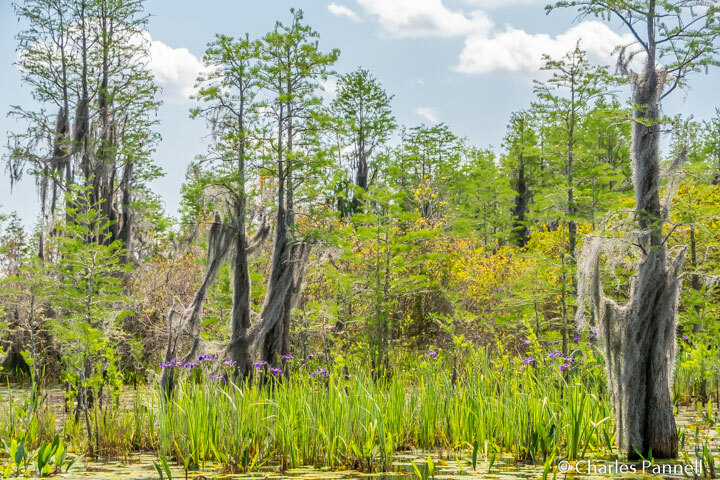 Although the swamp isn’t exactly the ideal environment for wheelers and slow walkers, accessible boat tours and trails allow everyone to get a up-close-and-personal look at the ecosystem at the Okefenokee National Wildlife Refuge (www.fws.gov/refuge/okefenokee). 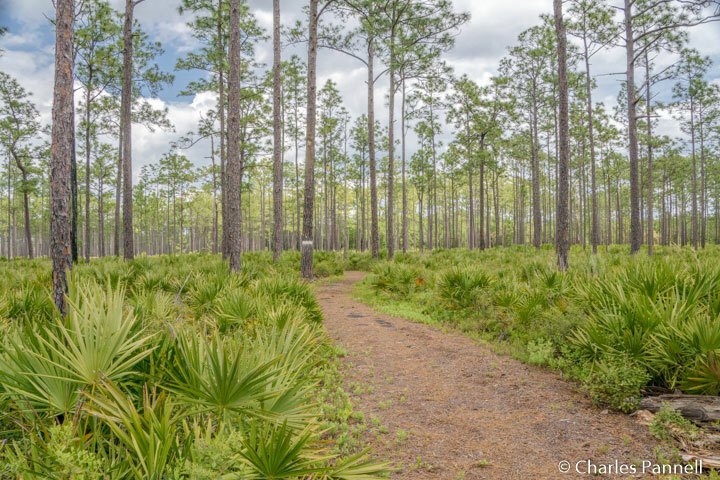 The main entrance to the refuge is located just south of Folkston, Georgia, and about an hour from Fargo. Just head east on Highway 94 from Fargo, then go north on Highway 121 in St. George. The park entrance and the Suwanee Canal Recreation Area are located 15 miles up the road on the left. Billed as the largest national wildlife refuge east of the Mississippi, this Southeastern Georgia swamp is largely a wilderness area; however there are also a few visitor facilities near the main entrance. There’s plenty of accessible parking in the main lot, with level access over to the visitor center complex. The gift shop and Camp Cornelia Cafe are located near the dock, with level access to the entrance. Tickets for the boat tour can be purchased in the gift shop; while the cafe serves up a tasty selection of sandwiches, salads and wraps for lunch. There are a few tables inside, but there’s more room to maneuver a wheelchair on the adjacent enclosed porch, which has table and bar seating. Accessible restrooms are located between the gift shop and the visitor center. There’s level access to the visitor center, which is located in back of the restrooms. Inside, there’s plenty of room to maneuver a wheelchair around the interpretive exhibits, which detail the swamp ecosystem and its inhabitants. Stunning nature photographs line the walls, and the book store has a good stock of field guides if you’d like to learn more about the area. There’s also level access to the theater, and plenty of room for wheelchair-seating on the side. Don’t forget to take a peek on the back deck before you leave, as it borders the swamp, and it’s not unusual to see an alligator or two lounging out there. There’s one step down to the deck from the back door, but there’s also an accessible cement path to it from the front door. 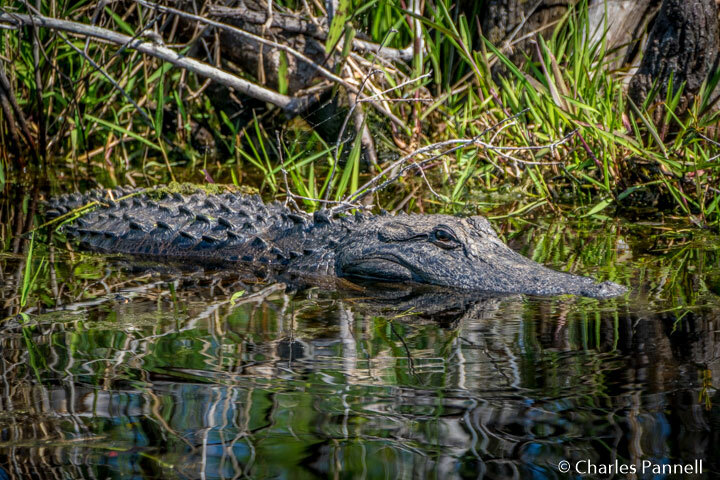 Truly the best way to get a close look at the swamp inhabitants is to take a boat tour from Okefenokee Adventures (www.okefenokeeadventures.com). Their regular boat is a 24-foot Carolina skiff, and there’s one step down into it from the dock. Additionally, you need to have good balance in order to maneuver to a seat as the boat rocks a lot. 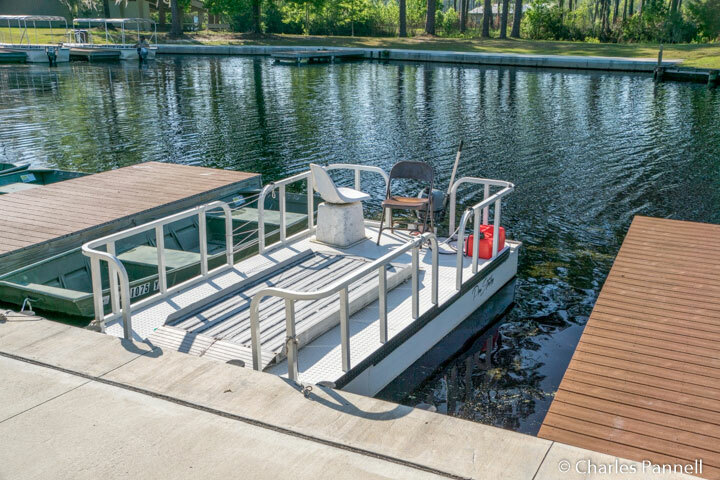 An accessible pontoon boat is also available, but it might not be the next boat out. This boat has level access for wheelchair-users, and folding seats for able-bodied passengers. Both boats have a canopy for protection from the midday sun. Best bet is to check in the gift shop about the availability of the accessible boat as soon as you arrive, then enjoy the visitor center while you wait. 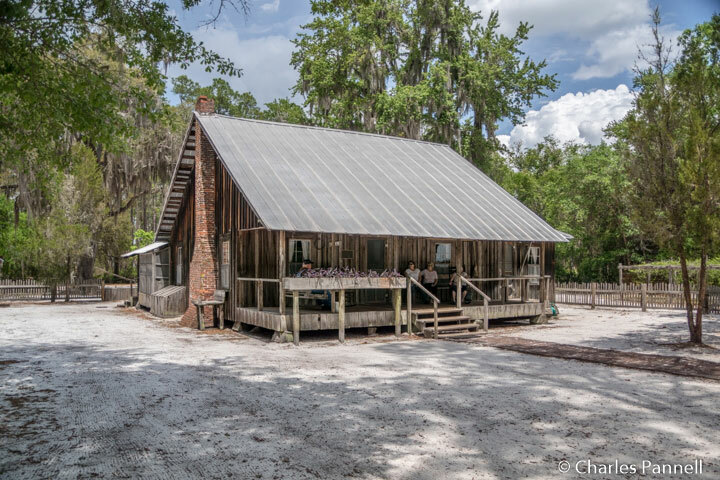 The 90-minute tour goes through the Suwannee Canal, as the naturalist points out the flora and fauna, and gives passengers a short history of the area. Expect to see turtles, herons, ibis, hawks and lots of alligators along the way. And if you visit in the fall, you’ll also likely see the migrant Sandhill Cranes. Save some time to explore the refuge on foot, on one of the three accessible trails along the eight-mile-long Swamp Island Drive. It’s easy to find – just follow the signs as you leave the main parking lot. The Upland Discovery Trail is the first trail you’ll come upon along the drive. There’s a paved parking area with accessible parking on the right, with level access to the trail across the street. The quarter-mile trail is made of hard-packed dirt, and although there are some exposed roots along the way, they are easy to dodge. The worst obstructions are at the beginning of the trail, so if you make it past the first ten feet, you’re good to go. 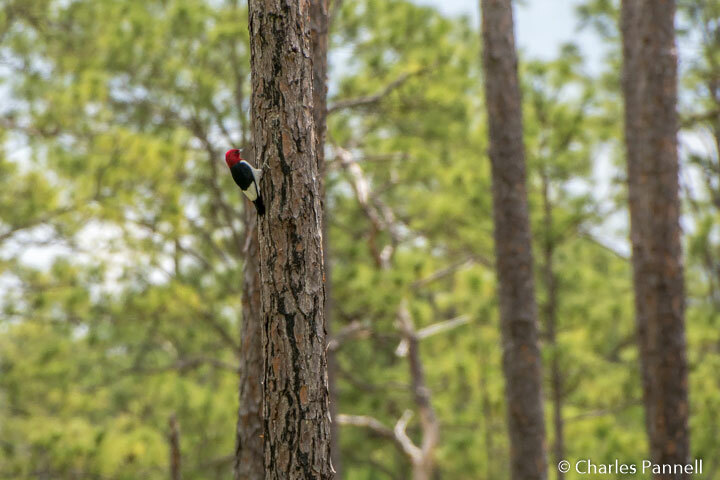 Be sure and look for the trees marked with the white bands, and they mark either a roosting or nesting spot of the endangered red-cockaded woodpecker. The second stop on the drive is just up the road at Chesser Homestead. The paved parking lot features accessible parking, with level access over to an accessible shelter with benches, and an accessible pit toilet nearby. The Chesser cabin, which was built by the W.T. Chesser family in the mid-1800s, has been restored; and although four steps lead up to the front door, you can still get a good look at it from the yard. It’s about 200 yards from the parking area, over a level hard-packed dirt trail, and it’s worth a stop if just to see the log well, syrup shed, smokehouse and chicken coop that surround the house. There’s a bit of sand in the yard, but there are accessible pathways around it. And although the trail continues on from the homestead, it loses it access due to deep sand and roots. The third and final stop along Swamp Island Drive is at the very accessible Chesser Island Boardwalk. There’s accessible parking in the large lot with level access over to an accessible pit toilet, and an accessible picnic shelter with benches. 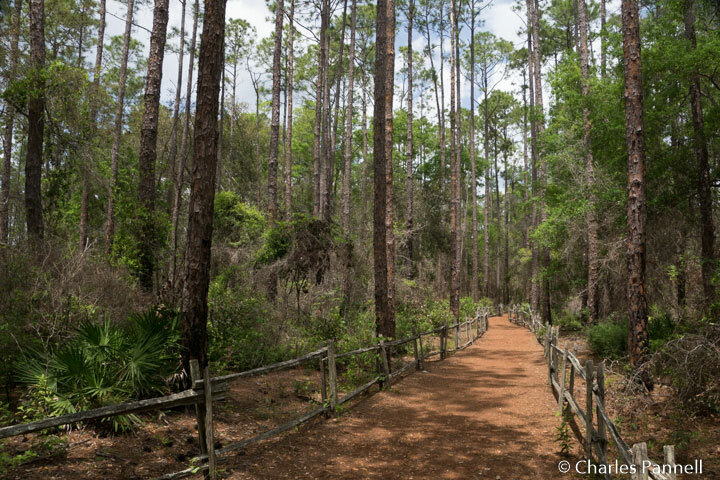 The boardwalk is wide, level and accessible and offers a nice 1.5-mile roundtrip walk out over the cypress swamp. Along the way there are three shelters to stop and rest a bit, and at the end of the boardwalk there’s the three-story Owls Roost tower. Although the tower itself isn’t accessible, there’s a viewing scope and a shaded bench at the base of the tower. 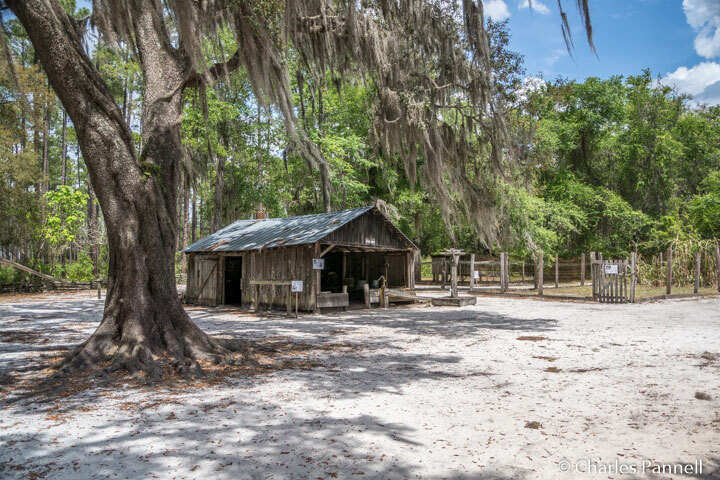 It’s a very peaceful place to enjoy the swamp and all its wildlife, and the perfect way to end your Okefenokee visit.